The British Safety Industry Federation is the key independent voice representing the interests of the UK safety industry to a wide audience, including Government, its enforcement agencies, standards making authorities and safety equipment users. Our membership ranges from safety equipment manufacturers, distributors and test houses to certification bodies, safety consultancy companies and service providers. Please choose the options below to search for a member company. As one of the world’s leading suppliers of safety and protective equipment our goal is to ensure we satisfy your needs through the provision of exceptional leadership, expertise, quality and service excellence. 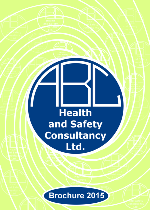 ABC Health and Safety Consultancy Ltd. provides a wide range of bespoke and affordable health and safety services to all sectors of business and industry. Our experienced and NEBOSH-qualified professionals can provide the support and services you need to ensure your business complies fully with UK legislation. 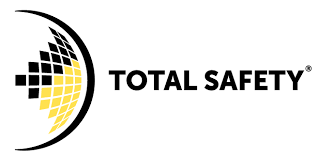 At Able Safety we hire, service and sell all aspects of confined space safety and working at height equipment including breathing/escape apparatus, gas detection and height safety/rescue equipment. Absolute RPE Solutions Ltd are a Fit2Fit provider of both Qualitative and Quantitative face fit testing services. We also offer RPE training and maintenance services to clients operating throughout the UK. Active Research is a leading supplier of market research services to the Health and Safety Industry. It undertakes telephone research, face-to-face interviews, focus groups and market reports. Clients include BSIF, 3M, DNV, RoSPA, British Safety Council, Gee Publishing and Lexis Nexis Publishing. Adesso Industrial Supplies specialise in embroidered and printed work wear, and the distribution of PPE. Supplying the manufacturing sector in the West Midlands, over 30 years of experience. ACS manufactures a range of EN352-2/6 certified custom hearing protectors and communication systems. Manufactured in the UK using digital design and print technology. Produced from medical grade silicones ACS products deliver extreme comfort and guaranteed attenuation values. Alexandra has over 45,000 customers in the UK – from high street brands to public services and education, the NHS through to SME’s, small businesses and private individuals. develop products that encourage good practice in health and safety within the workplace. As a result, Alpha Solway has a wide range of well-established and proven chemical protective garments, hearing protection and a comprehensive range of cup shaped and fold flat respirators that consistently outperform competitor products when Fit Testing. All are available through a network of distributors. The Company is BS EN ISO 9001 Accredited and members of both the British Safety Industry Federation (BSIF). 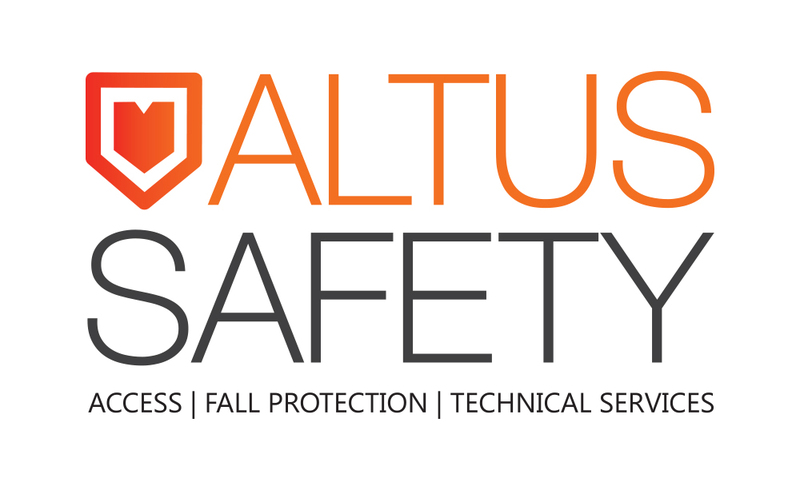 Altus Safety are a permanent roof access and fall protection sub-contractor which operates throughout all areas of the UK. Anderco is the premier supplier for personal protective equipment (PPE) and the industry choice for a complete suite of products, services and consultancy serving the safety sector across Europe and beyond. With the expansion and development of a tailored Professional Services portfolio, Anderco today provides an unrivalled suite of services, coupled with the most innovative products and solutions that have bolstered the company’s focus on the area of health & safety as they continue to serve a growing client base of major international brands. As Anderco expand globally with the development of its sector-specific and product-based activities, the company has further re-launched the Anderco web-based platforms that enable our clients to have access to real-time product and inventory data – a huge driver of efficiencies across client sites. Anderco is an ISO 9001 certified organisation. Our quality management system is our way of defining how Anderco as an organisation can meet the requirements of our customers and other stakeholders affected by our work. Arco’s mission is to keep people safe at work. Established in 1812 Arden Winch is now one of the leading independent distributors of head to toe PPE, uniforms/workwear, janitorial, safety signs and first-aid. We also have our own embroidery department in-house with 36 heads and producing 300 logos per day. We have two sites in Sheffield and Nottingham. 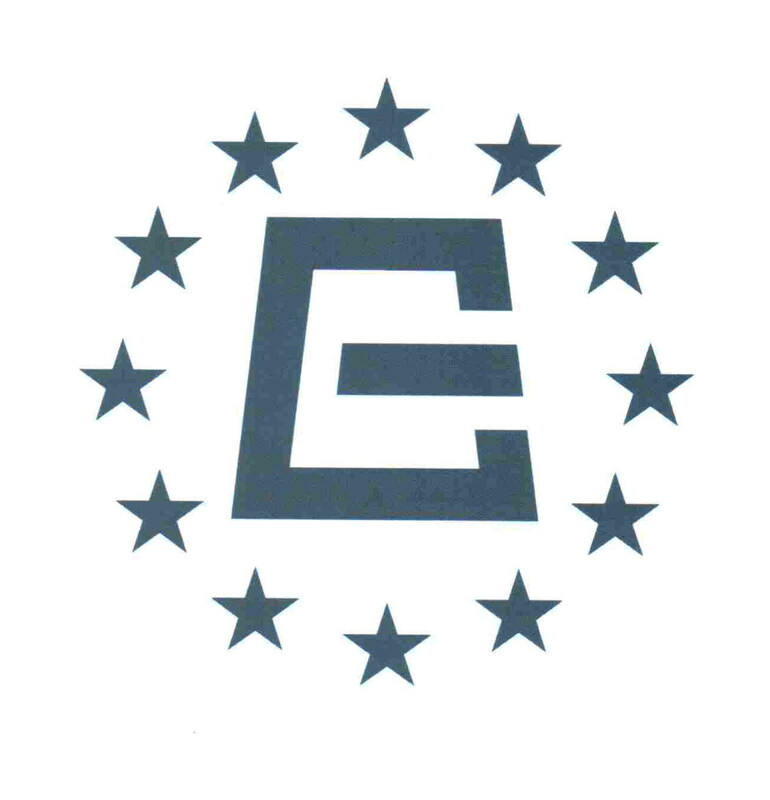 We are also proud members of Eurosafe. We also now have 10 members of staff IOSH accredited and 3 NEBOSH accredited. asecos is the leading German manufacturer of highly-insulated safety storage cabinets for flammables. For over 20 years asecos has been actively involved in international associations and working groups to develop innovative and sustainable products to meet the challenges of storing hazardous materials in 21st century laboratories and industrial facilities. asecos cabinets are built according to the most stringent European and American standards and can be easily integrated into casework or used as free-standing storage solutions. In addition asecos also offers many products for the safe handling of chemicals as well as a variety of extraction systems. Outside of Germany asecos is represented by wholly owned subsidiaries in the UK, Netherlands, France, and Spain, and maintains a global network of specialized dealers and distributors. Visit www.asecos.com for further information or to use the asecos Configurator to build your personal safety storage cabinet online. Ash Safety specialise in height safety confined space working and rescue. We offer hires, sales, service and training for all aspects within our specialised field. All of our technicians hold current certification for the servicing of the goods we provide. Founded in 2000, the Aurelia®brand is the flagship of the Supermax brands. We are extremely proud that already today it is the leading Latex and Nitrile examination glove brand in North America and is the fatest growing disposable glove brand across Europe. Aurelia is a premium quality glove with an uncompromising emphasis on comfort and safety to professionals from all indutries. With its unmistakable packaging, Aurelia is well on the road to achieving its goal of being the most recognisable disposable glove brand around the world. 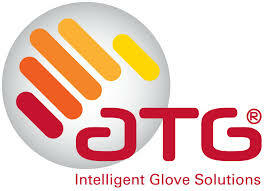 Mission statement – To be the global brand of choice among all users of Disposable Examination Gloves. Autumnal are an independent consultancy for all aspects of safe access and work at height. We have may years of experience across a wide range of areas. We focus on improving safety, compliance and efficiency for our clients and their staff. With an unrivalled pedigree in mask design dating back to the 1920’s, Avon Protection’s advanced products are the first choice for Personal Protective Equipment (PPE) users worldwide. BACA is a forward-looking, innovative independent supplier of industrial safety and work wear products. BACA’s values and vision are to grow as an innovative, culture driven business of continuous improvement where our customers, staff and suppliers thrive. 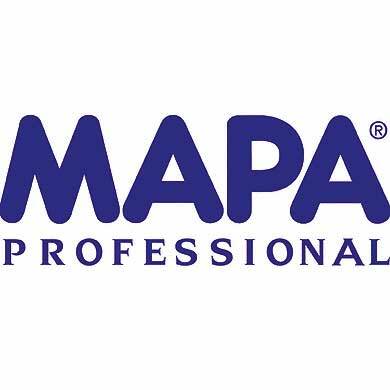 A British designer, manufacturer and distributor of high quality, functional workwear, protective clothing and specialist PPE, supplying customers for over twenty-five years. A trusted supplier of specialist protective clothing to the emergency services and armed forces as well as a supplier of managed services encompassing garment leasing, repair and laundering. Banz are an Australian company, whose mission is to protect the vital senses of children with their range of Hearing Protection, UV Sunglasses and UPF Hats and Swimwear, now sold in 39 countries throughout the world. BTL Industrial has over 40 years experience supporting Industry & Facilities with repairs, servicing and contracted planned maintenance for everything from electric motors & pumps to bearings, gears, full heating and aircon systems, plumbing & water treatment, gas & electrical installations. Our extensive collection of workwear, safety footwear and PPE protects people all over the UK in diverse industries such as oil & gas, welding, mining, agriculture, transport, chemical construction, warehousing, manufacturing and much more. A large range of products are stocked at all our Service Centres. Beeswift’s warehousing facility of over 120,000 sq feet has in excess of 12,000 pallet spaces of protective clothing, safety equipment and corporate products. It services a loyal and varied customer base in over 20 countries covering all five continents and our aim is simple: The right product at the right price delivered on time. BETAFIT is a PPE manufacturer specialising in vision, hearing, respiratory and garment protection products. Our category expertise ensures BETAFIT products consistently outperform regulatory requirements, are fully certified and provide superior design, comfort and value. BETAFIT is a trusted and dependable brand-flexible enough to challenge, strong enough to exceed. Bettersafe International are specialists in Working at Height. Nothing else. We offer industry leading Roof Safety and Fall Protection Equipment, specialising in innovative solutions and products you can use and install easier and with more confidence, coupled with excellence of service. With our development partners we ensure that the products we provide are already field tested and designed for the market. Founded in 1979, BM Polyco is the UK’s market leader in designing, developing and supplying high quality hand protection to the industrial, consumer and medical sectors and is now one of Europe’s leading glove companies. BM Polyco’s underlying success is based on the simple principal of continuous improvement including innovation, quality and service. BMTA is a UK-based not-for-profit trade association supporting and representing leading companies in Measurement, Testing, Analysis, Calibration and increasingly collaborating with relating organisations. BMTA strives to deliver the highest level of expertise to the industry as a whole. We undertake policy research, engage with politicians, notified bodies and EUROLAB to ensure the UK Measurement and Testing industry’s voice is heard. We facilitate discussion, knowledge transfer, cost reduction and performance improvements amongst our members through training events and community forums. We specialise in personal protective equipment and workplace safety products. From wellies to workwear, helmets to boots, goggles to gloves and earmuffs to skincare, you will find it all here. Choose from familiar, market-leading brands such as Boll?, 3M, GORE-TEX ® , CAT ®, Regatta, Centurion, Sterling, NORTH, Dewalt and Stoko. Bollé Safety are a world leading designer and manufacturer of protective eyewear including safety spectacles, prescription safety glasses, goggles, face shields, welding helmets, accessories and tactical products. Combined with market leading lens coatings and stylish product designs, Bollé Safety offers all companies in all market sectors a cost effective solution to all their eye protection requirements. BPS Solutions provide a complete range of health and safety advice and audits. Focusing on the key strategic issue of risk management our advice is structured on the principles of prevention and protection. In addition we provide focused CDM Co-ordinator services and CDM advice. Buck & Hickman is the UK’s leading distributor of Tools, Maintenance and Health & Safety products. 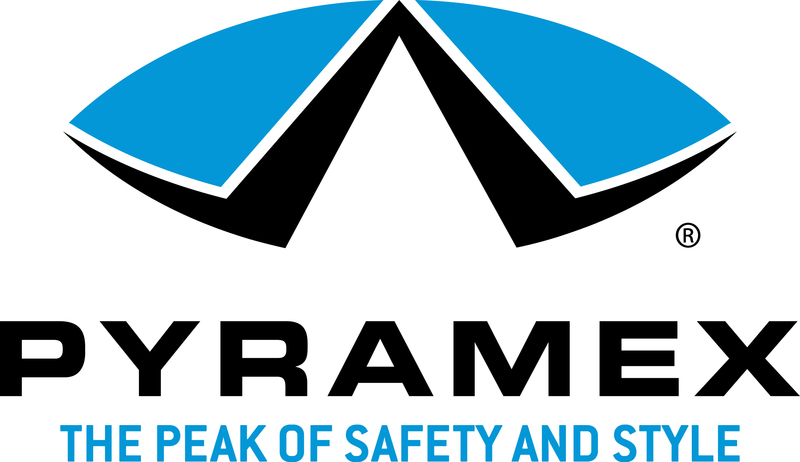 Now part of Brammer UK Ltd, we have been successfully trading for over 180 years and were in fact the first major tools distributor to be established in the UK. This heritage has given us a unique perspective on our market-place and we have responded over the years to many changes in technology, legislation and supply-chain requirements as British industry has itself developed and evolved. Our catalogue contains a stocked range of over 60,000 products from all the leading brands as well as a range of our own branded Roebuck products, which are available exclusively from Buck & Hickman. Visit www.buckandhickman.com, or call in to one of our trade counters for more information. Breathe Safe International are one of the industry leaders in providing Respiratory Protective Equipment (RPE) solutions and bespoke solutions for hazardous environment entry. Breathe Safe International offer a comprehensive service for all your RPE needs including; manufacture, sales, training, inspection, testing, maintenance and repairs. Rapidly expanding to serve a wide range of industry sectors and deliver unique solutions, promoting safety and expertise, Breathe Safe International has over 30 years of experience provinf RPE products and services in sectors such as, emergency service fire and rescue, catalyst handling inert entry and manufacture engineering. Breathe Safe International are the sole manufacturers and distributors of the new Sentry 4 Inert Entry Life Support System, category III (complex) respiratory protective equipment. The Sentry 4 Inert Entry Life Support System has been EU type tested to EN14593-1: 2005, EN 136:1998 and EN 402: 2003 and has been approved to a technical specification based on Annex II of the PPE Regulation (EU) 425/2016. The full system & components are CE approved whilst the full-duplex integrated communication is ATEX approved for protective systems intended for use in potentially explosive atmospheres, directive 94/9/EC. Brightboot combines safety footwear protection with high visibility performance. Brightboot conform to the ENISO 20345:2011 S5 HRO CI SRA footwear safety standard, whilst the neoprene upper and 3M retro-reflective elements comply to ENISO20471:2013 high visibility standard. Brightboot is available in 3 heights, Tall, Mid and Low. The British Security Industry Association is the trade association covering all aspects of the professional security industry in the UK. Its members provide over 70% of UK security products and services and adhere to strict quality standards. Stealth Global Industries is Global Supply & Logistics Company specialising in Products Distribution, Contract Supply & Fulfilment Solutions. With a presence in Online and Offline multi-channel marketplaces, our core product groups are: Safety, Healthcare , Industrial and Workplace Products. With 12 locations globally and over 300,000 products on our system, we are a distributor of market leading brands and complimentary aligned products, whilst providing a single point of contact for all product requirements. Our customers, ranging from small and medium private companies to international and listed corporations, benefit from the collaborative purchasing power of our strategic network. From supplying a single product, to complex supply chain management solutions, we have the ability to create efficiencies and strengthen business performance. The number one collection of premium quality safety footwear designed for maximum performance in all construction, agricultural, trades, utilities, maintenance and engineering activities by a truly independent UK company. Sold exclusively through the Buckler Boots Dealer Network. BUCKLER BOOTS, BUCKBOOTZ, EXCEPTIONAL SAFETY FOOTWEAR. 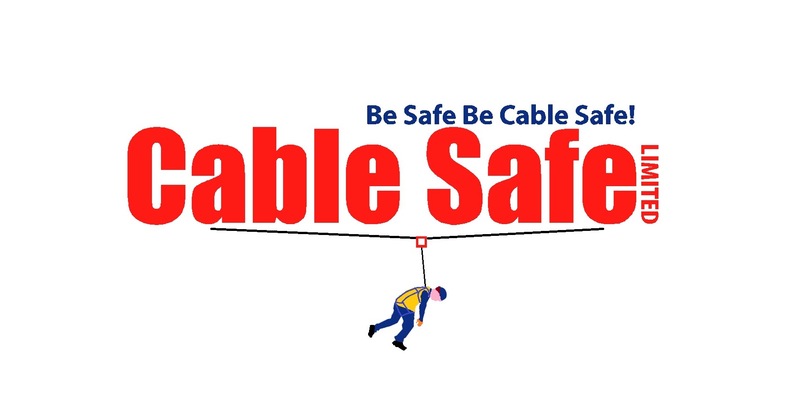 Cable Safe Limited have developed safe access, egress and rescue systems for operatives working at height. Applications include: Portal frame buildings, yard systems and portable systems, all with inbuilt rescue. We provide equipment, harness, working at height awareness training and lifting equipment. Caledonia Signs is one of the UK’s largest manufacturers, stockists and suppliers of safety signs. As experts in the field of safety signs we work closely with industry bodies such as the HSSA and BSIF to ensure our safety signs meet the latest Standards and Regulations. We manufacture strictly for sale through qualified and reliable distributors & re-sellers. Our business philosophy is based around our genuine commitment to cost-effective product supply, exceptional service, premium quality and product innovation; our objective is to maintain our status as a market leading supplier and ensuring we remain the number one choice for safety signs and safety related products. Camlab Limited are a global suppliers of market leading laboratory equipment, general laboratory consumables and safety (PPE) products. Manufacturers of laboratory plastics, and award winning innovators for scientific test & measurement instruments all Camlab staff are highly trained and are quality compliant organisation, audited for ISO 9001, 14001 and OHAS 18001 certification. Advice, guidance, consultancy and certification services to the PPE and associated industries. Services cover simple advice through to tailored training programmes and consultancy, the development of quality systems, understanding and ensuring compliance with Directives and Regulations, conducting all types of audits and operation of audit programmes. CCQS is a Notified Body providing CE Certification services across a range of product areas. We are accredited to ISO17020 and our scope includes Personal Protective Equipment, Machinery (MD), EMC Directive and in early 2018 we will add the Construction Product Regulations to our scope for a specified range of product types. The main office for CCQS is in London, with our Engineers and Technical staff based in the UK. We also have a dedicated office in China with Sales, Engineers and Technical staff to support the CE market in China. 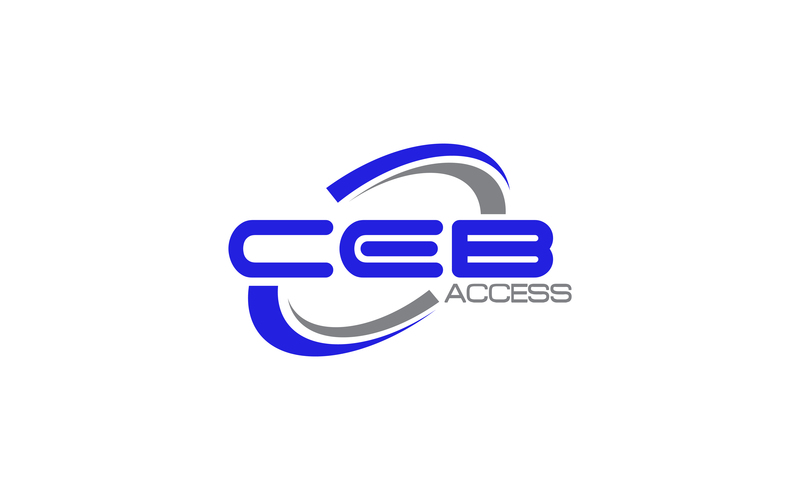 We are specialist Rope Access service providers, we provide both the access and fully certified trade technicians to undertake a broad spectrum of skilled works. We are also work at height safety specialists. Fully certified to install all manner of man safe systems across the assets. At Centurion we have been giving workers the confidence to think clearly over a hundred years. Safeguarding the ideas and imagination that shape our world. It is the reason we get out of bed in the morning and it is the reason we constantly advance our integrated head protection systems. Going further so you can go further. We are the UK’s premier business for tool management, service and repair. We also facilitate workwear, PPE and specialist equipment. With over 20 years’ experience and with our innovative technology, trustworthy approach and cutting-edge equipment, We’ll keep your business, your power tools and safety ahead of the game. Well established family run company specialising in the import and distribution of Protective Clothing and Personal Protective equipment. Supplier and distributor of all aspects of personal protective equipment (PPE), workwear and corporate uniform. Founded in 1993, Chemstore has continued to develop market-leading innovative products and services within the field of hazardous materials storage and handling. These solutions are designed to comply with the most stringent of legal, health and safety & corporate responsibilities of our customers, packaged to exceed all expectations for performance and customer service. Established in 1970, Cirrus Research is a world-leading designer, manufacturer and supplier of noise and vibration measurement equipment. The company’s aim is to protect people from the dangers of excessive levels of noise and vibration, by continuing to innovate products to make noise and vibration monitoring easier and more accessible. Distributor of uniform, workwear and PPE, based in North Yorkshire, Nationwide coverage. Bespoke web ordering portals with your agreed product range for secure ordering/authorised personnel. Manufacturers of oil, chemical and general purpose spill control products including pads, rolls, socks, cushions, booms, spill kits and industrial wiping products. We also offer commission converting, tubular knitting and printing services. Own branding available for any quantity. Unbranded brochures available for distributors. CMT are a large supplier of Safety and PPE. With a dynamic and forward thinking team, we are constantly looking for new and refreshing ways to offer procurement and safety solutions. Our investment in people, safety and service means our team at CMT is passionate about what we do. We aim to be the best in the market. Family run workwear and PPE distributor with in house Embroidery/Print Service. Leading brands such as Portwest available. The premium international brand for helmets and body protection for equestrian use. Concept Products Ltd is the largest independent supplier or PPE, Site Supplies and Branded Workwear in the South West. A family business with over 30 years’ experience we pride ourselves on our strong business relationships. An actively growing business, this year will see the continued development of our new website and an extension of our logo building and warehouse to accommodate for our growing range of onsite products. We take our quality management seriously which is why we are proud to display our RSS badge and are fully certified members of the BSiF. ISO 9001 certified. Stockist and supplier of workwear and PPE. 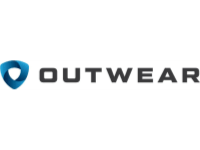 Extensive stockholding of leading brands and our own Wearmaster® brand, providing both quality and value to our customers. Over 30 years expertise in the industry giving a reliable source of information and support. Cromwell is one of the world’s leading providers of industrial supplies and equipment including PPE, committed to offering the widest choice to all industries, professions and trades. This is supported by a Head Office and World Distribution Centre in Leicester, 53 UK Branches, 11 Overseas Branches and a network of International Stockists. CSS Worksafe – Height and confined space access solutions. CSS provide expert advice, training, maintenance and design, supply and installation of safety systems and PPE for work at height and in confined spaces. CSS are recognised as professionals in our sector. Family owned PPE & Janitorial distributor servicing Manchester & Liverpool. Offering high levels of customer service and expertise we save our customers time and money. Protex Disposable respirators are designed to EN149 standards. Protex offer excellent levels of protection, fit characteristics and comfort combined with low breathing resistance. Continuing research and development ensures that the respirator range maintains its position at the forefront of technology. Cuxson Gerrard First Aid Kits are manufactured to HSE Standards. 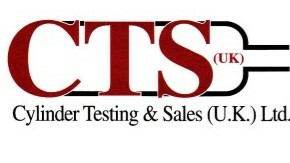 CTS (UK) Ltd have been pressure testing/inspecting and refurbishing gas cylinders in excess of 40 year. Our accreditations include UKAS, DET NORSKE VERITAS, as well as DFT and UCA appointment for the periodic in-service inspections of various types of gas cylinders. D. R.Caswell Ltd was established in 1971 as a supplier of engineers supplies primarily to the chemical, iron, steel and fabrication industries. We have expanded considerably to incorporate a wider range of products and services, the focus of the Company remains on providing quality goods backed up with a serious commitment to service. Building long term relationships has been key to our success as an independent Company and with this in mind we are conscious of the need to provide bespoke supply solutions with larger clients. By investing in considerable warehousing facilities and stockholdings we can offer a next day delivery service nationally across a wide range of items. This is enhanced by having the most up to date: garment customisation on site. Our sales office incorporate specialists who can offer advice across many sectors including: PPE, Janitorial and Washroom, Welding, Pneumatics and Hydraulics Oils, Tools and Lubricants as well as Factory and site maintenance. Established in 1935, Darcy Spillcare Manufacture is at the forefront of Environmental Protection and specialises in the manufacture and provision of solutions helping sites to achieve environmental and ISO compliance and care for the environment in increasingly demanding circumstances. Deb is committed to working with organisations who wish to engage and empower their employees to make hands matter in the workplace. For over 80 years we have been developing skin care products and dispensing systems for all types of workplace and public environments including, industrial, commercial, automotive, healthcare and food. The DEB skin care programme is designed to enable businesses to implement skin care best practice in the workplace to address and reduce the risk of occupational skin disease. This programme consists of the integration of essential skin care products with practical educational tools. Delta Plus are one of the worlds leading manufacturers of PPE with over 40 years experience. We have a wide range of products to offer a Head to Toe solution to focus on keeping people safe at work. The perfect balance between high quality and value for money is our ambition. Our expertise has been at the forefront of development through the years, producing equestrian headwear/body protection whether competing to the highest level or just for fun. Our extensive range includes products to suit all needs, and includes the Gatehouse HS1 Skull and the Rodney Powell Air Vest, an evolution in protection. Established in 1988, Dimensions has grown into one of the UK’s leading suppliers of bespoke corporate clothing, offering a financially stable organisation which is steeped in knowledge and expertise on delivering successful clothing programmes for people at work. This is supported and enhanced by having an international client base which is serviced worldwide, utilising best practices. A fully managed service is tailored to meet the individual needs of each client, ranging from 1,000 to upwards of 250,000 wearers. Delivering extensive experience of effectively managing supply chains for different scales of requirement, the impressive client base is its best testimony, along with consistent achievement of 95-99% service levels which has established new standards within the industry. Dimensions has achieved the position of market leader by offering excellent products at outstanding value and providing an unparalleled service to its clients. DNOW UK Ltd is a leading distributor of PPE and MRO equipment to a global industrial client base. Strategically located in Aberdeen and Great Yarmouth, DNOW UK operates an extensive international distribution network for clients in on- and offshore industrial sectors. Draeger Safety UK Limited design and manufacture a comprehensive range of breathing apparatus and gas detection equipment for professional fire-fighters and industry worldwide. Dunlop® Protective Footwear is the leading global manufacturer of protective footwear. In more than 80 countries worldwide, we provide comfortable and protective footwear for the workers in Agriculture and Fishery, Food processing, Industry and the Oil, Gas & Mining industry. Our continuous innovation combined with a solid dose of handcraft, makes the best working boot in the world. To give workers the safety and comfort they deserve. EAVE has worked with operatives to develop the world’s first system for mitigating corporate risk against Noise Induced Hearing Loss Claims. Utilising true technological innovation, EAVE WORK MKI promises to future proof the health and welfare of employees, and serve as a risk mitigation platform and productivity tool for employers. Ecospill is a leading UK based manufacturer and supplier of spill prevention containment and control products and services to all industries both in the UK and overseas. We offer an unrivalled range of products including our own high performance absorbents, spill kits, spill pallets, external drum stores and industrial wipes. EHM are a privately owned distributor based in South West London offering a national next day delivery service. We stock a wide cross section of the UKs leading manufacturing products from the full compliment of PPE equipment through to hand tools, janitorial products and road safety equipment. 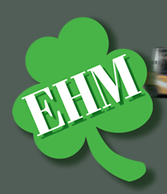 EHM’s delivery fleet is FORS Silver and CLOCS approved. Our vision is to create a safer day with zero damages to hands and feet, to the benefit of individuals, companies and society. A UK manufacturer of spill containment and spill control products including absorbents, spill kits, drum & IBC secure bunded storage units, spill pallets, waste handling skips emergency tank and other safety shower products. Oil skemmers. marine booms, pumps, power packs and ancillary equipment. Empteezy are the only company in their sector to be accredited to ISO 9001, ISO 14001 & ISO 18001. With nearly 30 years experience in the industry Empteezy are well placed to advice customers on the correct products for their specific applications. A well established and respected innovator in head protection with a reputation for quality and performance, ENHA’s extensive range of safety helmets has been designed to provide protection for workers operating within multiple sectors including construction, utilities, manufacturing, engineering, metal working and forestry. ENHA’s award-winning helmets are designed and manufactured in Germany utilising cutting edge production techniques and are approved to worldwide industry standards. ENHA is part of Globus Group, world leaders in protecting people. 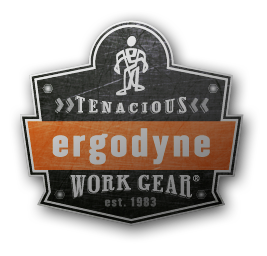 Since 1983, Ergodyne has pioneered the development of safety products that Make The Workplace A Betterplace ?. Our line of top flight, battle-tested safety work gear is precision crafted to provide protection, improve productivity and manage the elements for workers on jobsites all over the world. ERIKS is at the forefront in the provision of MRO products, services and solutions to industry across Europe. In addition to our huge range of products, from leading global manufacturers, we also offer MRO stores management solutions, including a fully integrated on-site option. Essential Site Skills deliver critical Health & Safety training and NVQ’s to the Construction Industry providing a quality driven end-to-end service. In addition, we provide a range of carefully selected PPE, RPE and equipment solutions for all your trade needs. Essential Workwear is a leading supplier of branded workwear and PPE, with over 20 years’ experience. Our knowledge, dedicated service, reliability and creativity have helped to successfully promote and keep safe some of the world’s most prestigious brands. Our in-house embroidery, screen printing, direct to garment, embossing and transfer machines are all state of the art to showcase your brand with quality. The European Safety Federation groups The National Federations of the EU States representing PPE manufacturers and distributors and is, as such, recognised by the EU Commission, CEN, Horizontal Committee of Notified Bodies and the national authorities. 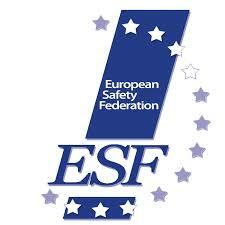 European Safety Federation (ESF) was founded in1991 to unite the European manufacturers, suppliers and distributors of Personal Protective Equipment (PPE) and to represent them at the European Commission. A nationwide association of independent safety distributors, who offer the very best in service and safety expertise on a local basis, whilst backed and co-ordinated by the strength of a national organisation. Your local independent distributor of PPE, workwear, footwear and safety equipment. 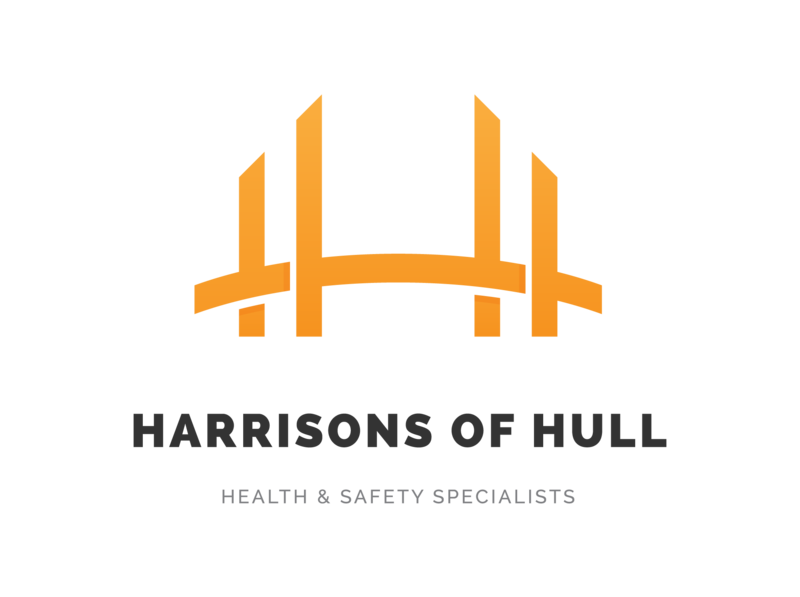 Based in the North West of England, we strive to offer you the best possible safety solutions for your workplace at affordable prices all the while providing the personal and relatable interaction you deserve from your safety supplier. We aim to be proactive when servicing our customers, and have the ability to react quickly to unforeseen circumstances. Members of the BSiF RSS Scheme we ensure that products we supply conform to the relevant standards. to the standard set out in the HSC Doc. OC282/28 & HSG 53. Face Fit Testing is a legal requirement for all wearers of tight fitting respirators & dust masks. Testing must always be carried out by suitably trained competent persons like ourselves”. 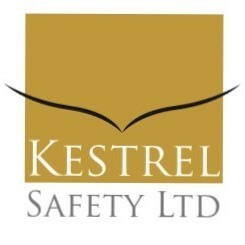 Fast UK Ltd are a specialist in Height Safety and fall arrest systems with 20 years experience from our in house design team and specialist installation engineers, we can provide complete bespoke solutions from design, manufacture to procurement, installation and commissioning. Fixfast are a long-established and leading supplier of products to the UK construction sector. Our Safe Access range provides Permanent Access and Collective Protection solutions for working at height. This range includes; access ladders, walkways, guardrail, step-overs & roof-light guards. Our modular system design allows rapid design and normally next-day delivery. Fleetwood Test House provides testing and certification to manufacturers of personal protective equipment (PPE) and marine equipment for the protection against drowning. We are a Notified Body under the PPE and Marine Equipment Directives. We are accredited to ISO 17025, ISO 17020 and ISO 17065. In addition we can test aviation lifejackets, EBS and immersion suits in support of EASA approval, perform compatibility testing of PPE combinations, or bespoke testing of marine products for clients as required. Focus and Vision Technology Ltd is a company that manufacture safety prescription eyewear,inserts for BA, gas masks, goggles etc. including VDU,fashion eyewear and plano, holding ISO 9001 certification. Footsure Western Ltd was first formed in 1980. It is now an importer and distributor of Safety Footwear from Europe and China. 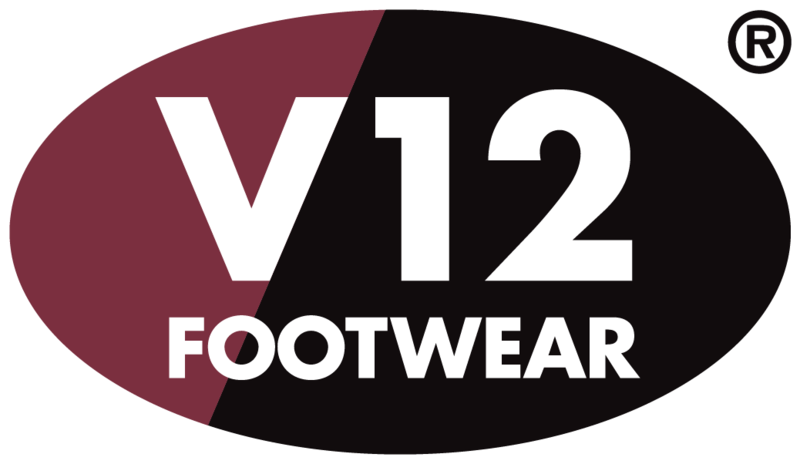 Footsure import their own brands of safety footwear, Amblers Safety and Centek, and also distribute for other brands such as Caterpillar and Timberland. Fortress Distribution specialises in introducing innovative brands to the UK with the successful introduction of Black Mamba Gloves and Accessories in 2012 and YULEYS reusable overshoes in 2013. Black Mamba has emerged as an industry leader in the US, creating hand protection for those in need of tough and reliable gloves. YULEYS reusable overshoe is a unique ‘clean step system’ solution for wearers of safety boots and shoes allowing them to enter clean environments without the need to remove their dirty footwear. Oil and chemical spillage solutions. 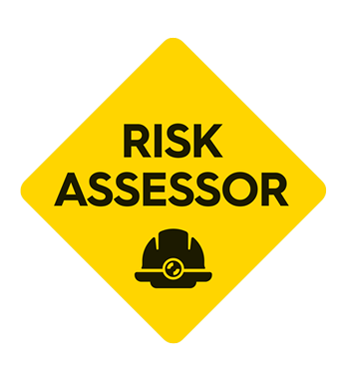 Assessment of spillage risk on site by technical specialists provides specific solutions in terms of products and services. UK’s leading manufacturer of absorbents and spill-kits, and provider of certificated spill prevention and response training, bulk tank bund repair and relining services. Fristads Kansas products are durable, functional and aimed to service industrial workers and craftsmen. Whether it is workwear trousers, jackets, high visibility or technical flame retardant. Through our distribution partners we produce the best quality industry workwear and craftsmen workwear in the business. Fuel Storage Solutions Limited [FSS] concentrates on all aspects of fuel storage. We supply, remove, service and install tanks and fuelling systems. We also clean fuel and fuel tanks and integrity test and inspect fuel tanks. Inspections are conducted on the basis of current fuel regulations. Future UK is a Family owned company dedicated to the production, storage and distribution of the range of porducts designed specifically for use in the industrial safety utilities, uniform and careerwear market. With fifteen years experience in high quality garment manufacturing future UK will give you a personal response and a service that will ensure that you need never look elsewhere for your requirement. G.E. Welding Supplies supply consumables, abrasives, machinery, clothing, signage and extraction plus safety equipment throughout the Midlands. Our key areas include Wolverhampton, West Bromwich, Cannock, Stafford, Leominster, Crewe, Hereford. Our representatives are on the road day in day out, we also operate s speedy delivery service. Gentex Europe is a UK manufacturer with over 100 years’ experience in the production of head, face, and respiratory protection for industrial, military, and public order environments. Our range of PureFlo® industrial respirators are among the highest-performing and most cost effective protective systems available on the market today. 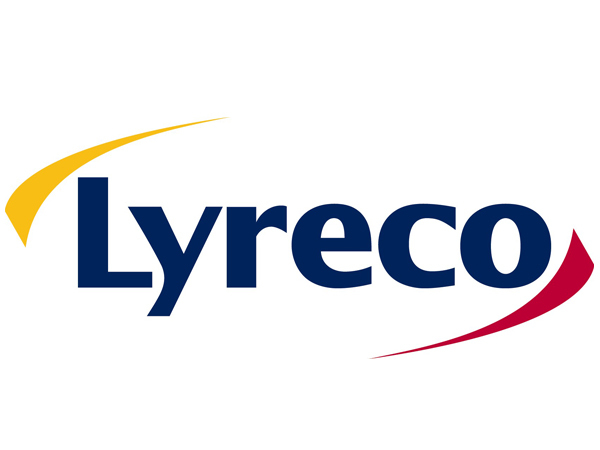 Proven and used throughout the world in a wide variety of heavy and light duty industries, and by numerous multi-national organisations, our wide range of respirators can be configured to match your exact needs. Builders’ and timber merchant, Gibbs & Dandy, has a proud history built on local relationships. Embedded in communities over 29 locations, each brand is tailored to meet the needs of its local market and consumers. We offer a personal and trusted service, with knowledgeable staff on-hand to provide helpful advise on building materials and projects. Goliath Footwear Ltd have made boots that work since 1880 and specialise in durable and reliable safety footwear for industrial use. Experts in injected sole construction, Goliath Footwear also partner world leading technology brands such as GORE-TEX and D30 to develop the most innovative, protective and comfortable safety footwear solutions. Good to Go Safety is a supplier of equipment tagging and checklist systems; designed to encourage pre-use checks that help companies to improve workplace safety, reduce maintenance costs and comply with legislation. Good to Go Safety is an ideal addition to H&S, maintenance and equipment management programmes. At Greenham, we are experts in sourcing, consolidating and delivering the highest quality Personal Protection Equipment, Cleaning & Hygiene Supplies and Contractors Site Equipment from the leading brands, as well as our exclusive brand range of products. With a local network of Service Centres nationwide, supported by the UK’s largest stockholding with next day delivery from our National Distribution Centre, we can offer our customers the widest product range supported by a team of experts. Everyone has the right to return home safe at the end of the working day. We are committed to making sure that happens by providing safety products and advice to help prevent accidents in the workplace and ultimately save lives. Sole practitioner providing expertise over 48 years experience in the quality field, 16 years experience as a Technical Assessor with UKAS. Provide interim management cover within GHA fields of expertise, PPE and RPE. 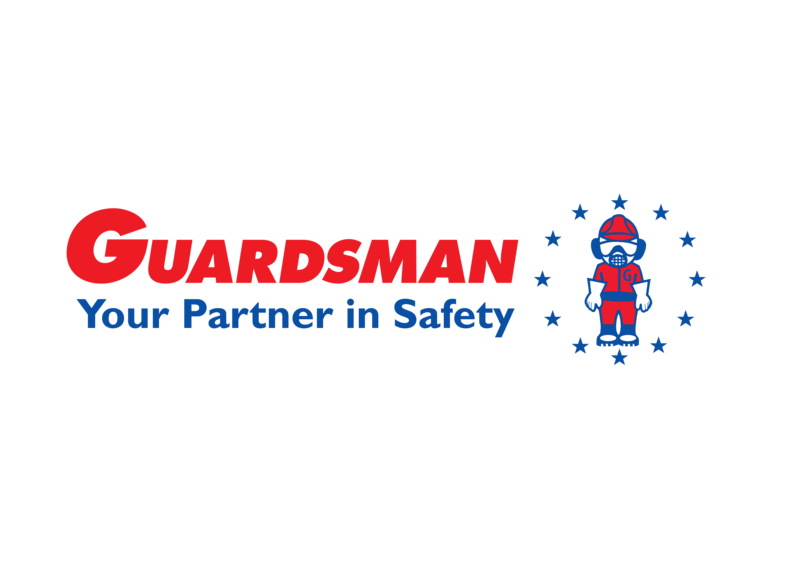 Guardsman are one of the leading suppliers of PPE & Workwear in the UK. Centrally based in the Leicester Distribution Centre is ideally located to serve you, wherever you are in the country. Guardsman are accredited to Quality Management BS EN ISO 9001:2008, Environmental Management Systems ISO 14001 and Quality Management Systems OHSAS 18001. We are members of the British Safety Industry Federation (BSIF). Gully Howard Technical offer a wide range of specialist training courses for occupational hygienists and safety practitioners. They teach the OH Learning occupational hygiene modules and BOSH proficiency training courses. GHT are currently also the only company offering Fit2Fit Accreditated courses in both Quantitative and Qualitative RPE Face-Fit testing. GVS Safety Division manufacture a wide range of unique respirators perfect for any application, in construction, welding, painting, any industry. GVS is one of the world’s leading microfiltration manufacturers for the medical, laboratory, automotive, appliance, safety and building filtration sectors. GVS introduces the Elipse half-mask respirators benefit from this knowhow, with advanced protection against dust and gasses. As an innovative, high-tech functional shoe manufacturer, HAIX meets highest demands all over the world in terms of functionality, quality and design at a good price/performance ratio. In accordance with our motto, our customers entrust their safety to us both on the job, as well as during their time off. We are a family run Health and Safety company who specialise in Face Fit Testing. We are Fit2Fit accredited by the BSIF, which is backed by the HSE and only awarded to those who meet the highest standards in the industry for Face Fit Testing. We offer competitive rates and flexible working throughout the UK. Help is at hand for your business to achieve a clear direction when it comes to controlling and managing the risk of HAVS. Consultancy days are tailored to suit the individual businesses to help resolve specific issues that matter to you. Havsco developed the personal Hand Arm Vibration dosimeter which measures and records the actual vibration when using power tools, without relying on inconsistent manufacturer’s data, irrespective of which tools are used, how they are used or what they are being used for. No guesswork, calculations or time recording, just HAV’s measurements. Hayley Group Ltd is a MRO, OEM and PPE supplier with a 47 branch network covering the whole of the UK offering a one stop shop solution. As a Health and Safety Advisor since 1992, I have the experience and knowledge to professionally advise clients on the personal protective equipment that is most suitable for their work. With the addition of PPE Stores Online, I am able to offer a wide range of excellent products that are only included in the store if they match my high standards of quality, suitability, comfort, conformity and price. As a customer, you benefit from good and reliable clothing and equipment with the addition of expert advice. Health and Safety Matters [HSM] – The Official Journal of the BSIF. 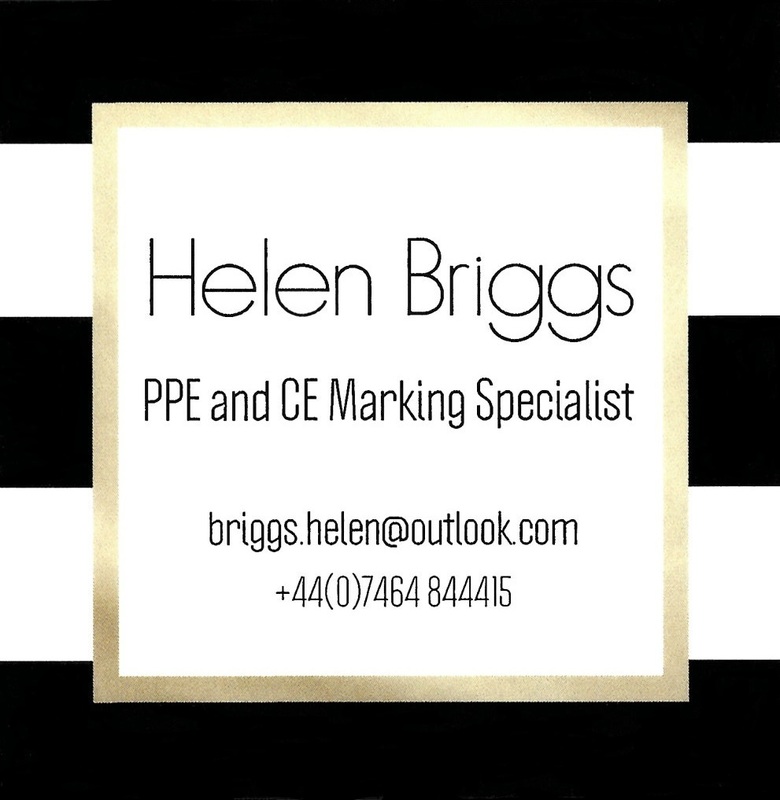 I am a PPE and CE marking specialist for protective clothing and gloves. With fifteen year’s experience in the textile industry, I now work independently, offering guidance through the CE marking process and building technical files to meet the requirements of PPE Regulation (EU) 2016/425. Founded in 1974 by Frank van Wezel, Hi-Tec is the embodiment of Frank’s dream to let everybody enjoy the things that he loves — sports, and the world outside. Hi-Tec believes that ‘everyone deserves a view’ – no matter who you are, or where you’re from, with Hi-Tec’s on your feet, a fantastic, perspective changing outdoor experience is always within reach. Today, Hi-Tec operates in around 86 countries, providing quality footwear designed to be instantly comfortable and lightweight, to many millions of people every year. Abseil, Davit Access, Fall Arrest, Fall Restraint, Fixed Access Ladder, High Access, High Level Inspection, Personal protective Equipment, Rope Access Services, Abseil Rail Systems, Abseiling, Access ladders, bridge inspection, rope access bridge maintenance, bridge survey, roof sable system, industrial abseil, PPE supplies, roof guardrail, free standing roof guardrail, roof walkways. Structurally proven height access solutions. Consultancy, design, supply, installation, inspection and recertification. Cable safety systems, single point anchors, safety ladders, walkway, guardrail and abseil track. Specialist structural fixings. Hollingsworth & Vose produce synthetic, electrostatically charged filtration media suitable for use in respiratory products, medical devices, vacuum cleaner, cabin filters and HVAC filters. Honeywell Safety Products is the world’s largest personal protective equipment (PPE) and solutions provider. Our network of manufacturing, support, and safety specialists includes more than 10,000 people in 30 countries. We are dedicated to more than providing a product or a service: each one of us is committed to protecting human lives. We help our customers build enduring safety cultures across a wide range of markets that include general safety and preparedness, first responder, electrical safety, and consumer products. HSE People is a free online network of over 155,000 professionals who work within QHSE, Fire, Risk and Security Services. We provide job advertisements, event listings, a business directory and more for our members. Hughes Safety Showers put the safety of your workforce first by providing emergency safety showers, eye/face wash and decontamination equipment designed to operate across all industries regardless of location, climate or local hazards. With 50 years manufacturing expertise, Hughes have built a reputation for innovative engineering design, stringent quality standards and compliance with European and International standards. Hunter is one of the longest established and most experienced uniform and PPE providers; (established 1936) and is a verifiably stable company, evidenced by having a 2A1 D&B rating. The company’s “WORK SMART WEAR” strapline communicates how they put together fabrics, smart design and add real to their managed services. INSPEC has been serving the worldwide PPE manufacturing industry for 30 years. We provide a complete testing and certification service for all types of PPE from head to toe. We also offer certification against ISO 9001, ISO 13485, ISO 14001 and the Marine Equipment Directive. Product certification for all types of PPE is available via the INSPEC IC Mark. We work closely with SEI in USA and can thus assist with testing and certification against north American PPE standards. Work is accredited by UKAS and UK Government notification covers CE certification against the PPE Directive. We supply laboratory test equipment as specified in many of the PPE standards. Interspiro Limited offer a range of respiratory protective equipment encompassing CE marked hooded escape apparatus, airline systems and self contained breathing apparatus, all of which are within the scope of our third party ISO 9001 accredited Quality Management System. The equipment portfolio is further enhanced by dedicated accessories including communication interfaces, test equipment and contract maintenance. Irongate is a Derby based business with 40 years successful trading under our belts. We provide a suite of essential products and services to satisfied clients up and down the UK from leading brands to local SMEs. 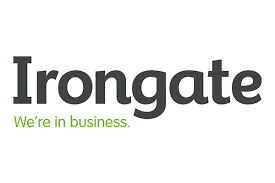 By switching to Irongate and consolidating the number of suppliers you use for your business supplies and services, you can benefit from a complete single source package which delivers significant procurement efficiencies and cost reduction for your business. We specialise in the design, manufacture and provision of workwear, corporate clothing, uniforms,PPE and safety boots. Our clients represent a wide range of industries across the UK, including leisure, hospitality, healthcare,retail, trade and manufacturing. With our help your workforce will look the business in no time. Our clothing not only creates a great impression but is not only fit-for-purpose and comfortable. Intertek is a leading provider of quality testing, inspection and safety solutions serving a wide range of industries around the world. From auditing and inspection, to testing, quality assurance and certification, Intertek people are dedicated to adding value to customers’ products and processes, supporting their success in the global marketplace. Intertek has the expertise, resources and global reach to support its customers through its network of more than 1000 laboratories and offices and 30,000 people in over 100 countries around the world. 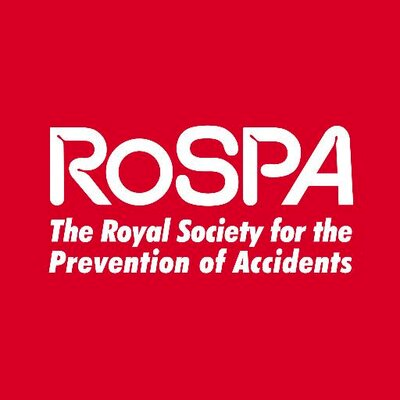 Founded in 1976, J&K Ross are one of the UK’s leading independent safety distributors. We are highly customer focused and offer a flexible service, which includes single source solutions; inventory managed solutions and expert advice. We hold QMS, EMS and H&S accreditation and continually work to deliver the optimum service possible within the industry. 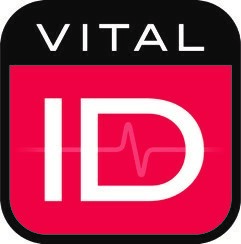 We also hold a Category A rating with UVDB Verify. All our customer facing staff hold the coveted BSIF Safe Cert qualification. JBS Group is a long established (1944) PPE & Safety Workwear distributor. We have nationwide distribution with branches in Aberdeen, Belfast, Cork, Derry, Monaghan, Sheffield and Whitehaven. We also supply specialist PPE products and uniforms to the oil, gas, mining and nuclear industries. With branches from the Scottish Isles to Penzance, you are never far away from great service, advice and high quality timber, building materials and services from Jewson. Since 1836, Jewson has expanded to offer a wide range of materials from everyday items like timber and bricks, to landscaping to roofing. Jonesco plastic products are leading brand names with a high reputation and market share for Fire, Environment and Commercial Vehicle industries. High quality, durability, competitiveness, service, high supply performance and support of a loyal distribution chain have gained this position. Our major share of the UK market is complemented by our international sales to a further 50 countries; international sales now accounts for more than half of all sales. Jonesco manufactures by the process of rotational moulding and extrusion and are primarily based in Preston, UK. Also owning a French subsidiary. Established in 1964, JSP is Europe’s leading independent manufacturer of, above the neck, Personal Protective Equipment (PPE) and acknowledged leader in industrial head protection. With its Headquarters and PPE Innovation Centre in Oxford, JSP manufacturers on three continents and exports to over 90 countries. JSP’s mission is to develop quality, innovative safety products that help improve occupational safety and health worldwide with improved comfort and wearer acceptance built-in. An estimated 40 million people worldwide use JSP products daily to protect themselves in their lives and workplaces. The highest level of investment in research and development has enabled products such as Filterspec, Mk8 Evolution, Hard Cap A1+, Forceflex, Necprotech and Powercap win numerous innovation awards in recent years. JSP’s Technical Service team provide advice to end users across many industries including Automative, Oil and Gas, Energy and Utilities, Engineering, Construction and Civils. Products are supplied via a network of distributors. JSP is committed to improving occupational safety and health worldwide. For more information, please do not hesitate to contact us. We are training, presentation and communications specialists. JULIAN RICHARDS [designed and] delivers the BSIF Safe Supply Course to support the BSIF Safe Supply Certificate, an essential qualification for supply chain sales and support staff. In addition we offer a presentation design service, presentation skills and sales training courses. 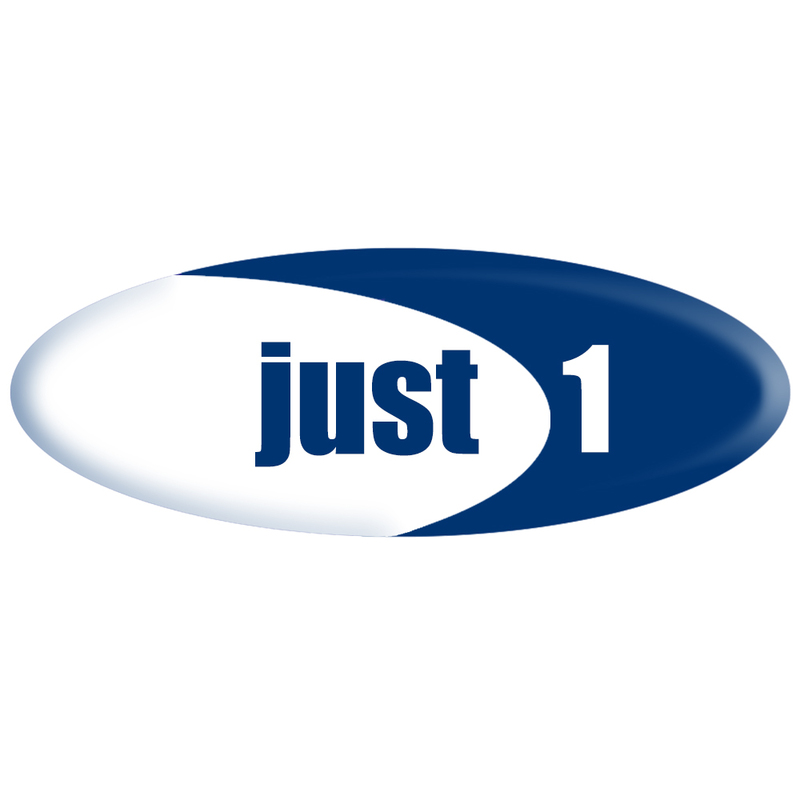 Established in 1906, Justrite is the leading source of storage, handling and security products including fire prevention safety equipment for hazardous materials, environmental protection spill containment devices, and specialized storage products. Justrite safety cabinets, safety cans, speciality containers, storage products and drum handling equipment, are available and sold worldwide. 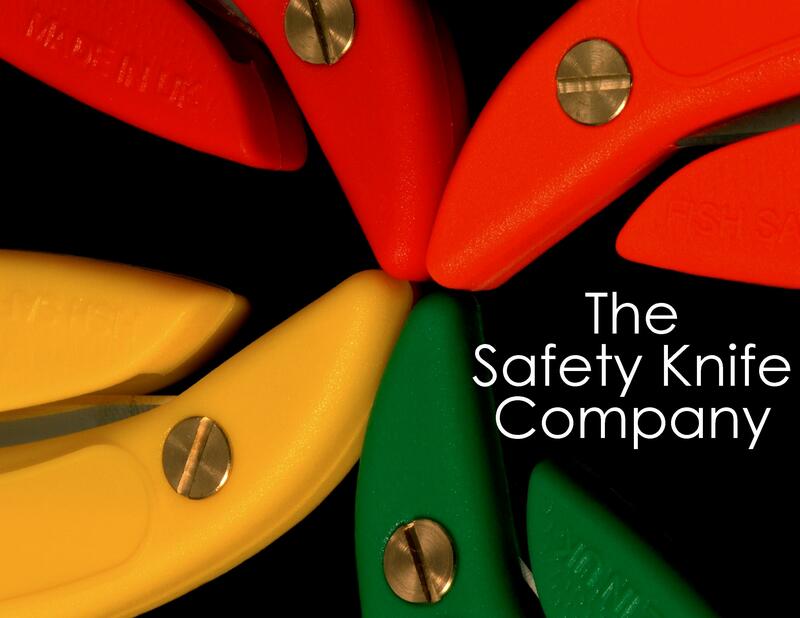 Ken Taylor Supplies Ltd is a distributor of contractors tools, traffic management products, workwear and PPE. We have been trading for over 25 years and are committed to supplying products of the highest standards. North East based company selling complete PPE range, head to toe protection, workwear and uniforms. Complete logo, embroidery and printing service available. Also, Safety and related products: signs, cones, barriers, spill equipment, janitorial products plus diamond cutting and drilling products, etc. Keypoint are one of the UK’s leading specialist solution providers in the area of industrial hand and foot protection. 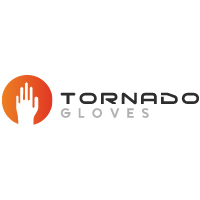 Our aim is to provide the markets most innovative safety glove and footwear products that offer superior protection combined with enhanced wearer comfort. Kimberly-Clark Professional is a global manufacturer of innovative and quality disposable protective equipment. They offer a range of garments, gloves, eyewear, respirators and hearing protection products under the well-known KLEENGUARD brand that provide the protection with style and comfort. Kite specialises in designing & supplying handrail and access solutions for infrastructure projects, focusing on compliance and producing site-workable solutions. We produce handrail solutions in materials including; galvanised steel, GRP and Stainless steel. We also produce bespoke solutions including GRP/mild steel ladders, access ramps, walkways and GRP step-units. Lakeland Europe is a subsidiary of Lakeland Industries Inc. and has been operating since 2002. Our range includes disposable protective clothing and a range of gloves. We make over 800,000 garments per week through manufacturing facilities world-wide. Dirty rigger produces gloves and accessories which combine durability and comfort with a style which has attracted a worldwide fan base. We select the best possible materials to ensure durability with a design based around specific user requirements. Our products are designed specifically to serve professionals working in the Outdoor Events, Rigging, Theatrical and TV / Film set industries, amongst many others. Lee Brothers are industry leaders in PPE, janitorial & cleaning, tools, painting & decorating, traffic management, electrical, health & safety, first aid, spill management, signage and stationery products. We offer free of charge next day delivery, Monday to Friday, with no minimum order value or quantity. LEO WORKWEAR are specialists in the design and manufacture of High Visibility Garments. The company was formed in 1981 and has an extensive range of PPE clothing available to distributors in all sectors of industry. Leo Workwear pride themselves on their innovation, flexibility, co-operation and customer service. Helping safety professionals deliver on their goals through innovation and providing you with a seamless and guaranteed end to end service. We are the easiest and fastest company to buy superior branded workwear, PPE and safety equipment from in the UK. Hazardous working environments remain a real challenge to the safety of workers worldwide – areas which are physically demanding and hostile to life and comfort, these are the domain of Luno Systems where our equipment helps support and sustain life. Designed by experts and refined by experience and rigorous testing, the equipment is the result of talking to real users, extensive trials, and development of products that not only meet but surpass the requirements of industry and legislation. Life Support and Breathing Air Systems remain at the core of our operation. If you are working in confined spaces where there is high toxicity or limited oxygen, or performing inert entry into reactor vessels, our equipment won’t let you down. Particular attention is given to ergonomics and ease of use for operators in order to make this challenging work more tolerable, together with innovative solutions for enhancing safety. We produce equipment which fulfils the needs of the industry, and never stop improving and developing our products. 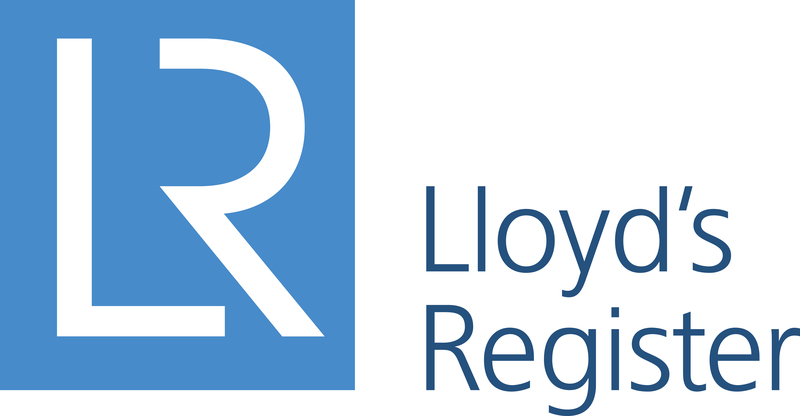 At Lyon Equipment Ltd, we design, manufacture and supply a vast range of work at height and specialist rescue equipment: delivering expertise advise on all our products and their deployment. We also provide quality training and certification on all aspects of work and rescue at height. 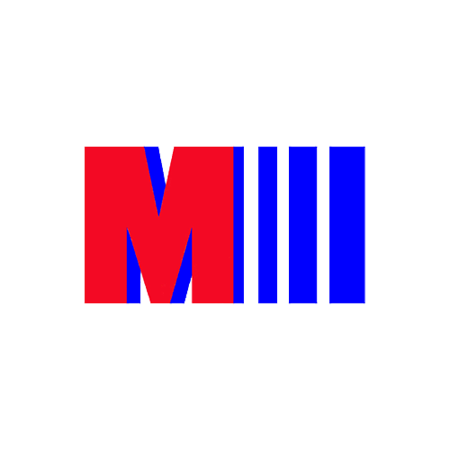 MIS specialize in the Distribution, Supply and Storage for the following:- Aquaculture; Auto Paints & Refinishing; Autosmart Valeting and vehicle cleaning products; Construction; Forest & Ground Care; Hand & Power Tools; Hire Equipment; Hygiene & Catering; Industrial & Hydraulic Hoses and Fittings; Ironmongery & Fixings; Oils, Lubricants & Spill Control; Service, Calibration & Repair; Welding Equipment & Consumables: Workwear & Footwear; Saw & Tool Sharpening; Industrial Gases.. Since 1982, Magnum has been providing high-performance uniform and work boots with credibility second to none. It is the mission of Magnum to be the best in class by delivering unsurpassed product designed for its end user. Distributed in over 100 countries, Magnum attacks the marketplace with unmatched comfort, technology and value in footwear used by emergency services, rescue, military, construction, industrial, facilities and service employees around the world. Discover the Power of Clarity with McOnie The B2B communications agency that brings clarity to your communications. With over 28 years experience working for industrial and technical market-leading brands, we’re fluent in the intricate language of industry. McOnie amplifies your story, creating hard-working communications that resonate with the right people. A leading manufacturer of hearing and respiratory products, our in-house manufacturing facilities and strong emphasis on research and developments has allowed us to develop innovative products of the highest standard. Our extensive product portfolio includes sized masks and earplugs as well as respiratory protection specifically designed with extremely low breathing resistance. For over 150 years, Monks and Crane have been a major provider of brand leading products and supply solutions to industrial partners in the UK. We can supply all of your PPE requirements through our purchasing specialists, network of local branches and Distribution Centre in the West Midlands. MTS provide PPE, Workwear, Tools, and Test Equipment. Our diverse customer base spans the UK and EMEA. We print and embroider in-house affording flexibility on production schedules. Our bespoke website offering is a proven success. We welcome the opportunity to discuss how our services can save you time and money. MSC is a leader in the supply of Metalworking and Maintenance, Repair and Operations (MRO) product and services. We will save you time and money by transforming the way you operate. The manufacturing world is split into two: those who love MSC and those who haven’t tried us yet. Needlers is the leading specialist supplier of safety, hygiene and workwear solutions for the food manufacturing industry. Working with UK food companies of all sizes, Needlers provides a range of tailor-made products and services to support the safe, efficient production of food products in a safe environment. Established in 1996 and now part of the global NPS Corporation (the world’s largest absorbents manufacturer and distributor of spill recovery products), Lubetech is part of NPS WORLDWIDE UK LIMITED. 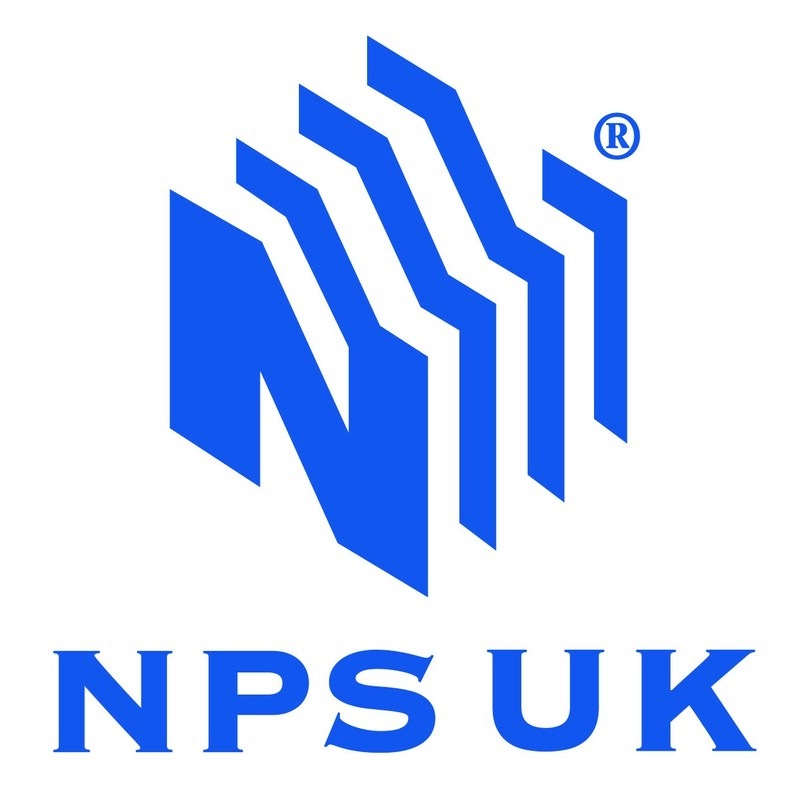 NPS UK is currently the only manufacturer of high quality meltblown absorbents in the UK. Along with the absorbents, we provide a comprehensive range of spill prevention products, and professional support services which include site surveys and spill control training. For over 40 years, Onsite Support has delivered safety, welfare and site equipment for the construction industry by putting people first. We do this by listening to our client’s needs and establishing a solution that is unique to them. 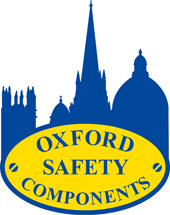 Client safety is our first priority and we recognise our responsibilities as a supplier of equipment in that regard. Utilising over fifteen years experience, Optical Coating Technologies apply a range of coatings to enhance the saleability of thermoplastic products. Our non-mist, abrasion resistant and ‘dual’ coatings are applied in a modern Class 5 clean room onto optical lenses, visors and protective eye wear, to an extremely high standard. In addition we stock ready coated plastic sheets in different thicknesses which can be cut or CNC routed to specific shapes. Different colours are also available. Our vapour deposition chamber can apply metals such as gold, silver, copper and aluminium onto flat plastic shapes. Co-founder, Ex-England Cricketer Ronnie Irani, helped to design and create a fully customisable insoles with multiple sole support options underneath your arch and metatarsal for optimal comfort, fit, and performance. OrthosSole has helped many users with it unique customisable support system, with foot fatigue, Plantar Fasciitis and more. Patented safety equipment for working from heights. Offer a nationwide and international RPE Training and Face Fit Testing service. The reason we are preferred suppliers to ExxonMobil, Esso, Public Health England and GSK is because we provide a friendly, professional and experienced service that meets their training requirements at a competitive price. We are BSIF Fit2Fit and BS EN ISO 9001 accredited. Whether your requirement is large or small, contact us and find out why we are the preferred choice. We have offices in London, Dorset and Scotland and we can provide a fast and efficient onsite training program for our clients. In addition to RPE Training, we offer SCBA Training, Train the Trainer Qualitative RPE courses, Powered Respirator RPE and SCBA Hire, RPE Servicing and Certification and supply of new equipment and consumables including Powered Respirators. Parker Merchanting is a leading UK supplier of consumables to industry. It prides itself on providing a first class service to all its customers, ensuring the right product is delivered to the right location at the right time. With over 6000 items within our core product range, covering the key areas of personnel protective equipment, road works, site supplies and janitorial, Parker Merchanting can fulfil any order and deliver direct to you. Established in 1953, MCR Safety specialises in the manufacture and supply of hand and eye protection. Our products are certified to the most up to date standards,and we kitemark our complete range of prescription safety spectacles. 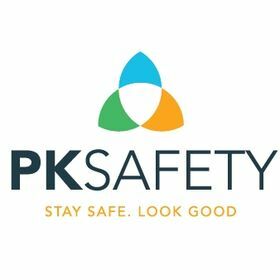 PK Safety is a family-run businessin South Wales supplying PPE (Personal Protective Equipment), workwear, safety equipment and janitorial supplies to companies and local authorities all over the UK. We are one big happy family here. We have always been a family-run business right from the year 1973 when Peter and Kelvin first set up as PK Construction. 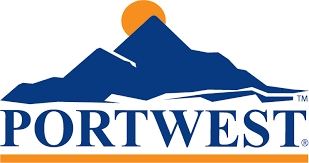 Established in 1904, Portwest have a long and proud heritage in the production and supply of certified PPE products, predominantly for the workwear, high visibility, rainwear, footwear and accessory sectors. We pride ourselves on quality and service. Social Media for the Safety Industry PPE.ORG is in a unique position to help organisations in the safety sector increase their brand profiles and to raise awareness of their products and services on the social web. Social media influences purchasing behaviour and social signals now drive search engine results. It is therefore essential that you have an effective social media presence on the web, and PPE.ORG can help accomplish this in a very cost effective way. Services: Social media support Social media management Web content consultancy and workshops OSH campaign design and implementation Mobile App development James Twigg is a media partner of the European Agency for Safety and Health at Work (EU-OSHA). PPS is a leading UK developer and manufacturer of mass decontamination equipment and specialist PPE for hazards including chemical, biological, radiological and nuclear. We are world class innovators in the field of decontamination technology, providing complete solutions for hazardous environments and industries, including the emergency services, nuclear and petrochemical. ProGARM is protecting lives throughout the manufacture and supply of Arc Flash and flame resistant safety clothing. every garment is designed with exceptional quality and inherent properties to provide the ultimate wearer experience. Continuous research and development ensures that ProGARM garments offer unrivalled protection and comfort across numerous hazardous industries. Protec Direct are one of the largest suppliers of PPE & Workwear in the UK. Centrally based in the West Midlands, our 55,000ft² National Distribution Centre is ideally located to serve you, wherever you are in the country. Our huge stocks and regular deliveries ensure that you get what you want, when you want it. Whatever industry our customers operate in, from heavy industrial to light catering, from professional construction to laboratory work, we are able to offer a comprehensive range of products to satisfy the most demanding performance criteria. We also offer an in-house badging service, enabling you to personalise your PPE and workwear with your choice of logo. At Iguard we offer wide range of essential safety and maintenance equipment for people at work. P2BS is a totally unique journey for any company who are prepared to take safety beyond compliance. It challenges every individual to ask questions about their own relationship to safety regardless of their position. We are totally dedicated and our ultimate goal is to create a safer environment inside and outside the work place. For over a decade PULSAR® has and continues to design and deliver an extensive collection of high performance apparel. Pushing the boundaries of innovation with our certified, technologically advanced products ensures the people who wear them can be confident in the knowledge they are protected from all elements and potential workplace hazards. PVA-PPE Group provides design, development, prototyping, testing, certification, verification and sourcing services for various forms of PPE, with specialisms in head protection for sports, body, limb and hand protection for sports, motorcycling, martial arts and public order, foot protection for industrial use and motorcycling. PVA-PPE Group has global reach, with clients across the world, from Vancouver to Melbourne. At Pyramex, our promise to our customers is to provide the best possible products, the best possible service, and most importantly, an attitude of making our customer’s lives easier on a day-to-day basis. Our values challenge us towards a commitment to truth and to deliver what we promise! Manufacturer and supplier of wire based safety line systems for horizontal, vertical and overhead applications conforming to recognised industry standards. We also provide design and calculation services, installation and user training, along with industry loading in-house testing facilities. We supply full head-to-toe personal protective equipment to the global oil and gas industry from our Aberdeen base. We number several of the North Sea’s blue chip companies along our extensive list of customers. Respirex are a world leading supplier of personal protective solutions, specialising in the design and manufacture of high-performance chemical, particulate and respiratory protective clothing and specialist protective footwear. Our product range encompasses gas tight suits, chemical splash suits and CBRN equipment for fire and emergency services teams and emergency responders; air fed chemically protective suits and chemical work wear for the petrochemical and pharmaceutical industries and powered air and air fed particulate suits and hoods for nuclear and pharmaceutical industries. Our state of the art automated footwear factory produces a range of protective boots and overboots providing protection from hazardous chemicals and high voltages, along with specialist food industry boots and general safety boots. We are unique in offering a complete service that includes standard or tailored equipment solutions combined with unrivalled training, aftercare and support. Our in-house testing laboratory is UKAS accredited for chemical permeation testing to EN 374-3, EN ISO 6529 and ASTM 739, and continually tests the fabrics and seams used in our clothing to ensure our equipment’s performance. BSIF Accredited Spill Response Training. Spill Kit Training Spill preparedness surveys for oil and chemical spill control including spill hazard identification, response and product recommendations as appropriate to mitigate threats from those hazards. Emergency spill response planning and implementation training tailored to meet corporate Spill Procedures. Created by a team of safety experts with decades of experience, Riley® represents a fresh and uncomplicated approach to eye care and protection. Each model in the Riley® portfolio is engineered using the latest safety eyewear technology and incorporates innovative designs and high performance lens characteristics. It also includes a full prescription service with each model glazed in Riley’s UK prescription laboratory to ensure a dedicated and responsive service. Riley is part of Globus Group, world leaders in protecting people. 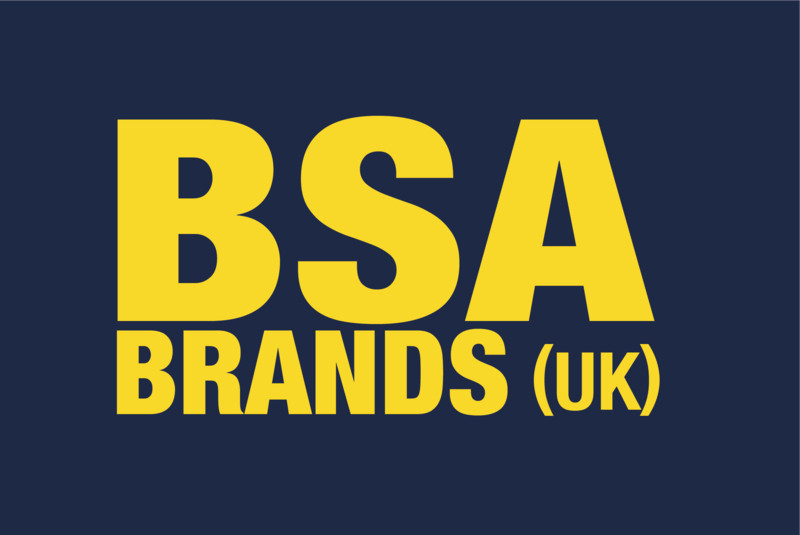 Since 1995, we have specialised in the supply and maintenance of quality branded safety equipment, sourced by some of the best manufacturers across the globe. With the development of new innovative technologies, our business has adapted to meet this high demand; this has allowed us to supply our customers with only the best equipment available on the market. By partnering with brands such as Honeywell, Drager and Crowcon, the products we supply are designed to cover an extensive range of applications. Operating primarily as a B2B business, through the years we have established a trusting relationship with numerous high-profile organisations across the UK. Many of these companies, which include fire fighters, laboratories, water/waste water treatment plants and chemical, rely on Rockall to provide a consistent service that they can continue to use in their time of need. We are a second generation safety footwear manufacturer. A family business trading since 1987, which designs innovative styles for the risks of today and tomorrow. The Head Office and Distribution Centre is deep within the heart of Derbyshire firmly at the centre of the Midlands Engine. We supply and service marine life-saving equipment and working at height equipment to the oil and gas and wind energy sectors. RPB Safety. “The Respiratory Protection Brand”. Manufacturers of the world’s most comfortable respirators that advance your safety and increase your productivity ultimately. Protecting you for life’s best moments. A totally independent fit testing consultancy for both qualitative and quantitative fit testing. Principal has over 35 years experience in the Respiratory Protection Industry. 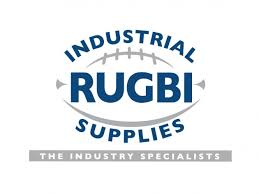 Rugbi Industrial Supplies has been keeping people safe and tooled up for 25 years. Specialising in Branded Workwear, PPE Equipment, Site Safety Equipment, Spill Management, Professional Tools, Janitorial and Traffic Management Products. Serving the whole of the UK with an efficient and friendly service. With Rugbi you’re in safe hands. PPE is our business. As a leading manufacturer – Signal ® and supplier of PPE to the Rail, Infrastructure and Aggregates sectors for more than 40 years, we combine traditional family values with an innovative mind-set, whether that is in our product development or service solution offerings. Safety Monitors are specialist providers of monitoring instrumentation for safety, health and environmental requirements. We provide full sales, hire and services capabilities for specialist areas including gas, noise and vibration. Safety Squared is an independent consultancy that specialises in all aspects of fall protection and safety at height. Principle services include: independent technical advice and assistance to manufacturers and installers, user companies, enforcement agencies, standards agencies and architectural agencies. Based in Co Tyrone, our core value is to provide top quality safety products at affordable prices, along with a customer friendly approach. Safety Zone Europe has considerable expertise in the personal protective equipment industry and supplies a comprehensive range of products from many of the world’s leading manufacturers. Our technical service extends to guidance in the assessment, selection and use of PPE. Quite simply our aim is to provide the highest quality level of products and service, at competitive prices. Safetyworks & Solutions Ltd offers a fast, efficient, friendly and tailored national service. Our extensive experience allows us to offer a range of roof tops safety equipment and services, including temporary and permanent handrails (fixed or free standing), horizontal life lines for both fall arrest and restraint systems, eyebolts, anchor points, cat/escape ladders, walkways and PPE (harness’s & lanyards etc). SAI Global provides organisations around the world with information services and solutions for managing risk, achieving compliance and driving business improvement. Services include certification of products and systems, facilitation of good governance and awareness of compliance, ethics and policy issues, publication of Standards and training and improvement solutions to held individuals and organisations succeed. Saint-Gobain designs, manufactures and distributes materials and solutions, which are key ingredients in the wellbeing of each of us. They can be found everywhere in our living places and our daily life providing comfort,performance and safety while addressing the challenges of sustainable construction, resource efficiency and climate change. Samco are a leading independent distributor of head to toe PPE and workwear solutions. Based in North Wales and with over 40 years experience in the industry, Samco offer a highly customer focused and flexible approach. Our team of experienced and dedicated professionals always strive to offer solutions and add value. SATRA is a Notified Body for PPE/Toys/Construction products. Sayfa Systems (UK) Ltd design, supply and install equipment to enable safe working at height in industry and construction. Our Aviator and Payload products provide fixed access systems for high level maintenance purposes and our RhinoDeck and AirDeck systems provide loadable decking and fall arrest solutions for low level applications. At Select Access Safety Solutions we specialise in the design, installation, certification and training in the use of a wide range of height access solutions. Seton sets out to redefine quality, service and value. 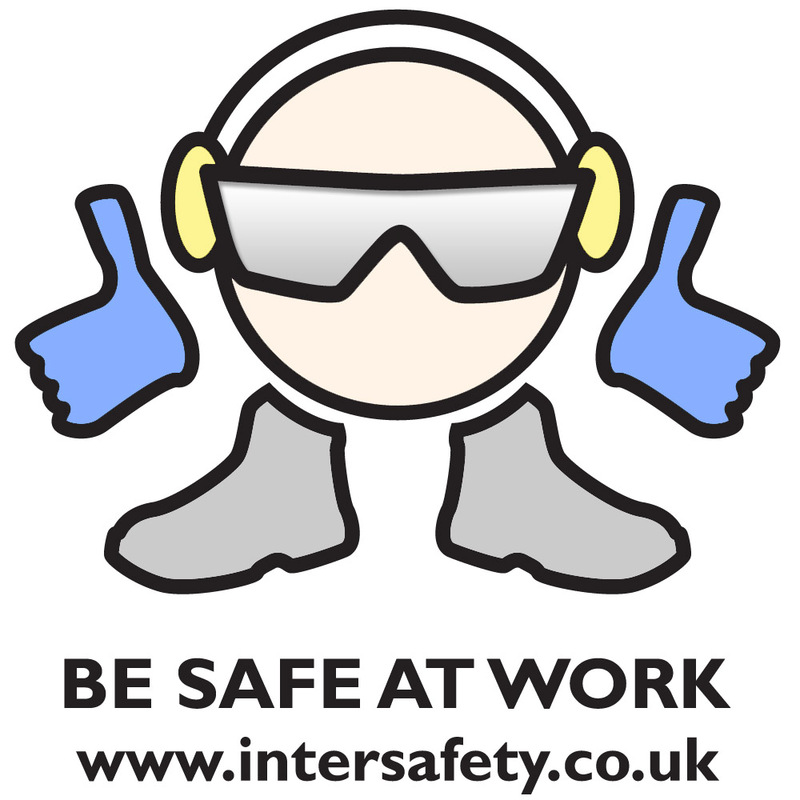 We supply a large variety of safety goods, including workplace signs, first aid and PPE. Most of our products can be customised to suit your exact requirements and our dedicated Innovate team are constantly working on new and exclusive solutions for your workplace. Keeping up with legislation is often a daunting task. Seton aims to make sure you are always meeting your responsibilities. Our website is a wealth of useful information and all of our products conform to the latest safety standards. If you’re ever unsure, our award-winning customer service experts will always find the right solution for you. As one of the UK’s largest suppliers of safety equipment we’re able to offer unbeatable value on everything you need to keep your workplace safe. Seton UK is proud to announce its partnership with the British Safety Industry Federation (BSIF) and their Registered Safety Supplier Scheme. As part of a global family of workplace equipment suppliers, Seton UK has become synonymous with providing high-quality safety solutions for all. Membership of the BSIF confirms this status and reasserts Seton’s commitment to providing products that meet or exceed accepted industry standards. Seton’s pledge is “Safety Made Easy”. By joining the Registered Safety Supplier Scheme, Seton takes the hassle out of finding not just appropriately approved PPE, but also a wealth of other top quality safety supplies. For more than 45 years, Severnside Safety Supplies – Cheltenham’s only independent safety distributor – has provided customers with an ever-increasing range of quality personal protective equipment and more. What sets us apart? Severnside is both small enough to care, and big enough to trust; priding ourselves on a more personal service. SGS is the world’s leading inspection, verification, testing and certification company. Type Examination Certification for Category II and III products in a timely and efficient manner. With its worldwide activities SGS undertakes Article 11A and 11B audits in many countries using locally based UK approved auditors. These audits can be combined with other certification such as Medical Devices, ISO 9001:2008 and ISO 13485:2003. SGS can also undertake PPE testing in its accredited laboratories across the world. Shawcity is focused on bringing the latest technology to the UK and Ireland, enabling customers working in Health & Safety, Occupational Hygiene and Environmental applications to achieve the highest levels of monitoring performance. With the best instruments on the market from world-leading manufacturers available to hire or buy, each order is tailored to your specific requirements. We offer an extensive range of monitoring detection including: VOCs; Benzene; Ground Gas; Single Gas; Confined Space; Multigas; Mercury; Fixed Gas Detection Systems; Sound, Noise and Vibration; Air Quality; Dust, Heat Stress and Fit Testing. Our technical team provides support and advice for the lifetime of your instrument or duration of hire for total peace of mind. Our manufacturer-trained and approved engineers also provide in-house servicing, calibration and repairs. For over 30 years Shoes for Crews have been helping millions of people worldwide avoid slip and fall accidents by providing the most comfortable and slip-resistant footwear available anywhere. Independent lab tests prove that the SFC MightyGrip outsole greatly exceeds industry standards. SHOWA gloves are synonymous with the highest degree of hand protection and innovation. SHOWA have over 100 researchers and developers who actively drive new hand protection innovations and for over 60 years have relentlessly pioneered safer ways for hands to conquer any task. 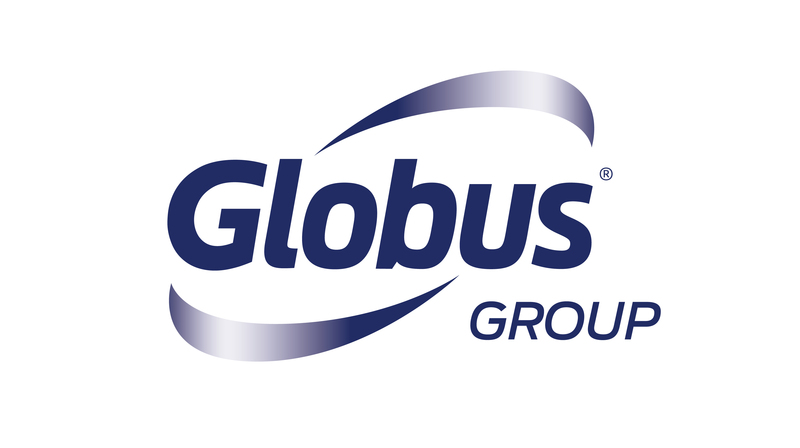 Globus’ partnership in the UK, Ireland and Middle East with SHOWA has proved invaluable to companies in many diverse industry sectors. Simon Safety are leaders in Safety Technology and are an independant manufacturer and distributor of Personal Protective Equipment, Work wear, Corporate Clothing, Workplace Safety Equipment and Associated Services to the Oil, Gas, Petrochemical, Power Generation and Utility Industry Sectors Worldwide. Sioen is Europe’s largest manufacturer of Coated Technical Textiles. We manufacture, in our own factories, a wide range of Protective clothing available from stock in our European distribution centre. We manufacture: Foul Weather Garments, High Visibility Garments, Multi Norm (FR AST) Garments, Chemical Protective Clothing, Food Industry Clothing, Safety at Sea Products (survival suits and life jackets), Body Armour (both knife and spike and bullet proof) Chainsaw Clothing, Fire Intervention Suites, Military Uniforms, Thermal layers (Fleeces, Bodywarmers, Sweaters etc) Knitwear (both HiVis, Thermal and FRAST). We manufacture to all the latest EN and ISO Norms and offer Full Certification on all our products. A bespoke manufacture service is also available. SKYTEC gloves from Globus deliver hand protection for users in many different industries. Performance and quality are intrinsic values of a broad glove range that includes styles that protect against a wide array of hazards. The gloves can fulfil all your safety obligations whilst delivering value and widespread user acceptance. SMH Products supplies an end-to-end solution for the decontamination process, ensuring people and the environment are protected from exposure to potentially hazardous substances. Established in 1993, Spartan Safety continues to provide tailored, seamless PPE solutions to industry. As an ISO 9001:2015 and ISO 14001:2015 registered businesses, our name is associated with high standards of service. We therefore work only with the most reputable manufactures of PPE and workwear, thus exceeding our client’s expectations. Sundstrom are a manufacturer and distributor of quality respiratory apparatus. We aim to work with industry to ensure that an effective respiratory process is established and appropriate, comfortable and cost effective RPE is provided: where wearers are at risk: Buy a Product; get a System! Steady Lad! is a ladder stabiliser designed to prevent a leaning or extension ladder from slipping out at the base. Supertouch is a leading supplier of workwear, protective footwear, gloves and disposables. We pride ourselves on our great products, competitive pricing and outstanding customer service. Our experienced staff can provide you with excellent technical know-how in order to address all of your health and safety needs. Family owned and operated independent distributor of personal protective equipment (PPE), safety equipment, spill control, industrial and site supplies, signs and workwear. Operating from a Middlesbrough based well-stocked “drop in” trade shop and showroom, distribution centre. Together with TIS franchisees, we deliver friendly, attentive and reliable same-day local, next day national deliveries and services. TenCate Protective Fabrics a leading global producer and leaders in innovation. Designing, developing and producing a spectrum of products engineered to satisfy the evolving needs of industry workers. 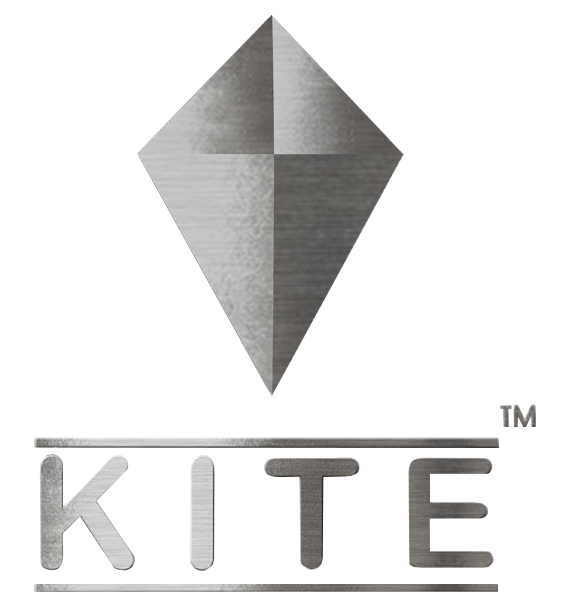 Protecting millions of people worldwide with an extensive range of FR fabrics, quality standards and wide range of unique and patented fabrics. Design, supply, installation and certification of all roofing safety and access products. Clothing and Personal Protection Equipment. Based in Stockport, Cheshire, we have steadily become a leading force in our sector, employing the latest technology to power our in-house printing and embroidery departments. The secret to our success is quite simple – great customer service. Thomas Graham is a family run business established in 1892 and our presence has grown significantly in Cumbria and Lancashire, especially since opening branches in Egremont, Kendal and Morecambe, and our Head Office in Carlisle. At Thomas Graham, we have a comprehensive range of PPE and workwear from head to toe. We currently stock over 2600 product lines, which are available online and in-store. These include top brands such as Bolle, Dickies, Mascot, Moldex, Dupont, Polyco and Regatta. For businesses who want expertise they can rely on to keep their people safe, Tilsatec offer high performance hand, arm and body protection. This means we can deliver maximum performance in every fibre of what we do. Because when our gloves perform at their best, your people can perform at their best. Family run business based in Llanelli, established over 20 years, supply workwear, PPE, Leisurewear, Corporate clothing, Hygiene and janitorial products. Tower’s mission is to make the workplace a better place. We achieve this by providing intelligent solutions that protect people and enhance their environment, giving customer satisfaction and staff fulfilment whilst rewarding all stakeholders. Tower has been operating for over 30 years and provides more than just products to be regarded as a PPE specialist. Tractel are a world leading manufacturers of height safety, lifting, load measurement and access equipment. With manufacturing sites in France, Germany and North America, Tractel has a global reach. Tractel have recently launched a 150kg range of height safety products (150kg user + +0015) and offer unlimited life span subject to inspection an their height safety products. 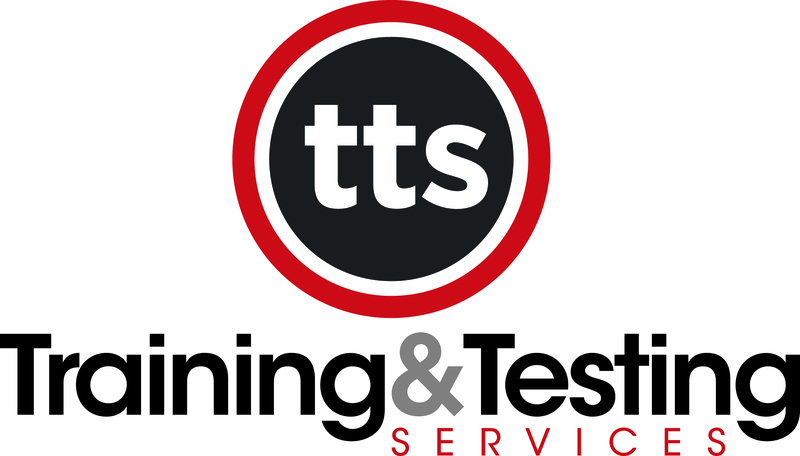 Training and Testing Services (TTS) is a nationwide training and testing company, specialising in the provision of excellent health and safety training for clients situated throughout mainland UK. We Train, We Test, We Supply – offering quality accredited training, RPE testing, RPE/PPE and abrasive wheels supplied at competitive prices. Treadstone Products are part of the Jiangsu CLS Technical Group in China, manufacturers of safety gloves and suppliers to some of world’s leading brands since 1985. Specialising in “own label” products, Treadstone can also offer their “PRO” and “Original” ranges for immediate deliveries to distribution partners, from their UK base in Wrexham. Tripal Group are specialists in the procurement and supply of high quality safety, specialist slip resistant and outdoor footwear into the UK and global markets. Each group brand addresses a specific requirement within the marketplace and include bespoke by Tripal, Anvil Traction, Zephyr Safety and Kanyon Outdoor. With Troy, you’ll gain access to leading suppliers of industrial tools and equipment with great brands and ranges. And with our buying power, you’ll get the best possible prices. We also provide a range of strategic and administrative services. In short, we’re here to help you grow your business. 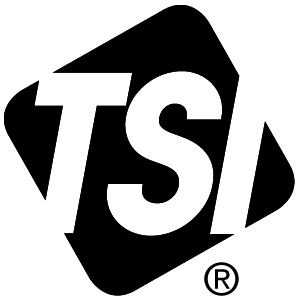 An international leader in measurement technology for 50 years, TSI Incorporated designs and manufactures precision instruments used for respiratory fit testing, exposure monitoring, contamination control, indoor air quality, ventilation testing, aerosol research instruments, and other key parameters in the environment. TSI serves the needs of industry, governments, research institutions and academia. Turton Safety is a major Importer and Distributor of PPE to the UK wholesale market. Products are supplied from all the leading brands : 3M, Scott, Ansell, Sperian, Uvex and our own Smart-guard range. U Group provide Quality footwear for today’s needs. U Power are constantly adding technical innovation to stay ahead of the market. 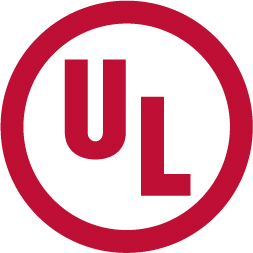 UL International (UK) Ltd is a Notified Body for Personal Protective Equipment, with Notified Body number 0843. We offer services to the PPE Directive until 21 April 2019, and we offer services to the PPE Regulation – for module B, C2 and D. you may review our Scope through the UKAS Accredited Bodies website and find us under Product Certification number 4705. Established in 1986 Ultimate Industrial is now one of the largest independent wholesalers of PPE in the UK. Ultimate now supply trade distributors throughout the UK and Europe with a comprehensive range of safety products including gloves, glasses, masks, helmets, hearing protection and fall arrest equipment. uvex is an internationally renowned manufacturer of personal protective equipment recognised world-wide for its research and development in order to broaden its already comprehensive portfolio of products. uvex prides itself on its fundamental understanding of customer’s business processes, the complexities of operating in diverse environments and the challenges they face and therefore, possesses the experience and expertise to provide customers cost effective, high quality, innovative safety products. In support of product development our commitment is to assist businesses in protecting their employees from work place risk via education and support. uvex offers a complete support package – ensuring customers have the assistance they need to optimise risk management. Willis Safety is Scotland’s leading independent distributor of all items of PPE and Corporate Wear. Dealing with the industry’s leading manufacturers who include: MSA, Honeywell, Centurion, Parmelee, Uvex, 3M, Scott, Moldex, Alpha Solway, Polyco, Globus, Ansell, Marigold, Dupont, Portwest, Dickies, Sioen, Briggs, Terra, Dunlop and a number of others. Gore’s famous durable, breathable waterproof GORE-TEX Fabrics are an integral part of protective clothing solutions for workers who operate in the most challenging situations. Gore fabrics provide high performance protection for emergency service responders, military and special forces teams as well as workers in utilities, construction and the offshore industries. Wearable Technologies Limited (WTL) have developed the Eleksen Connected Worker Platform. Utilising data from any Bluetooth environmental risk sensor, the system can provide a real-time picture of the well being of connected industrial workers to reduce risks, increase user safety and improve productivity. 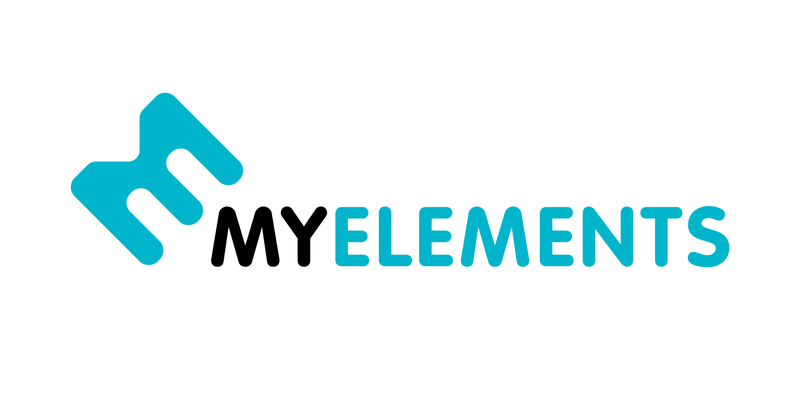 West Yorkshire Materials Testing Service is a Notified Body under the PPE Directive – No 2019 and a UKAS Accredited Test House – No 1104. Our specialist areas are the testing and certification of protective clothing and Gloves offering protection against : Heat and Flame, Welding risks, Mechanical risks, Electrical risks, Cold and High Visibility clothing. 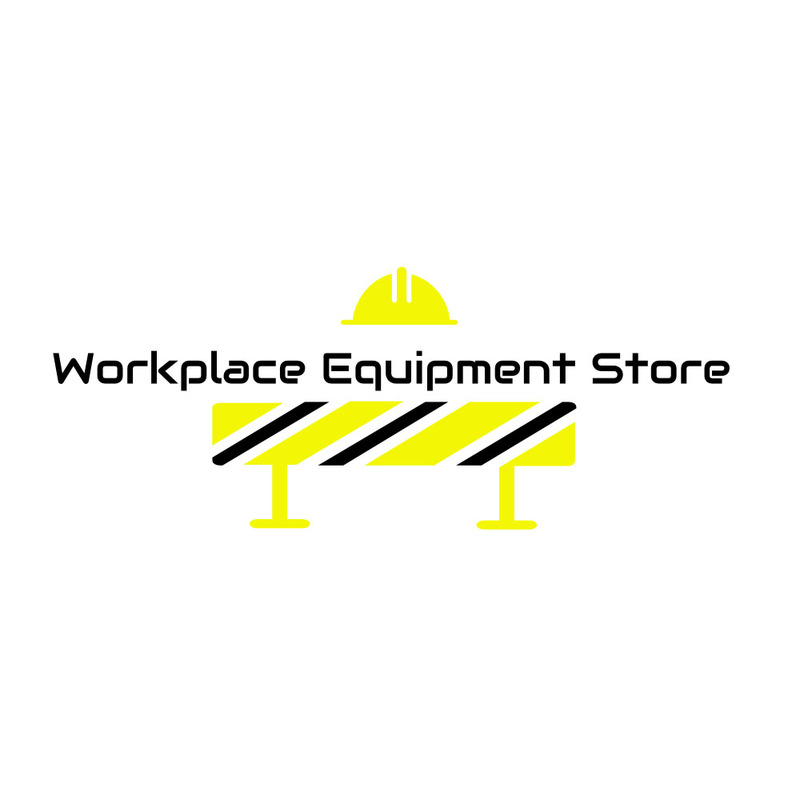 Workplace Equipment Store are a quality supplier of industrial/commercial workplace equipment. From PPE to Spill control, we have everything you need to keep you and your employees safe at work. Our buyers are constantly sourcing new and innovative products to offer you the best products in the market. PPE and logo workwear supplier, our team is knowledgeable and customer-focused. Always on hand to support your changing needs. Established in 2005, over 60,000 products serviced across a wide range of industries including public sector, construction and engineering clients across the UK and Europe. Serious About Safety, Serious About Service. 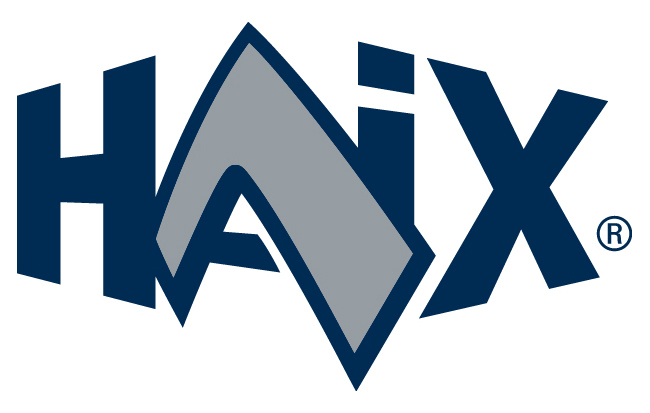 Xamax are one of the leading suppliers of Workwear, Corporate and Promotional clothing providing over 30 years expertise in garment embellishment via our in-house sales, design and production facilities. Our head to toe PPE offer provides businesses with a comprehensive range of industry’s leading manufacturer’s brands, giving you the total workplace solution. Xi Training is the leading work at height compliance specialist organisation in the UK. Compliant working at height training + industrial courses, our services allow you to manage your working at height training and compliance requirements across a wide range of industry services. Established in 1924 as producer of raincoats, Yaffy is now one of the leading suppliers of high performance outerwear to UK Police Forces. Yaffy products include, High Visibility and Black Waterproof clothing complimented with a range of performance fleeces and lightweight high visibility outerwear, constructed from fabrics at the cutting edge of garment technology. Offering specialist products such as public order garments with and without underwear to CAST standards, Yaffy is also a key supplier of equipment carriers including Taser carriers to various Forces. Dog Handling, Motorcyclist, Pedal Cyclist and Equestrian specialist waterproof clothing have ensured that Yaffy is highly respected in the Police industry. The heritage and knowledge of a family business complimented by Dimensions’ world sourcing and manufacturing has further enhanced Yaffy’s ability to offer industry leading products and service.